Have you ever heard the epic story of Hernán Cortés? He was the Spanish explorer who brought about six hundred soldiers with him to conquer a mysterious new world. While historians have a quibble with the nitty-gritty details—everyone agrees that their ships were scuttled and they forfeited their way home. …but it is something radical. When your team is switching to CoSchedule, ensure there is no path back to the status quo. The old way of doing things. In this post, I’m going to share three ways to shorten the learning curve for onboarding your team to Coschedule. Because, let’s face it, the faster your team gets rolling with CoSchedule, the faster your results go up, your time spent on trivial details goes down, and you look like a marketing genius while it happens. Be ultra-specific with what this new world of CoSchedule will look like. Create a desire in your team for accomplishing more (fueled by CoSchedule). Remove friction between your team and CoSchedule adoption. A bundle of specific resources to help you onboard your team with ease. ⏰ Pick a time for your marketing demo. 😃 Now let’s get to onboarding! At CoSchedule, we get to connect with tens of thousands of marketers from across the world. ...and of what makes them struggle. 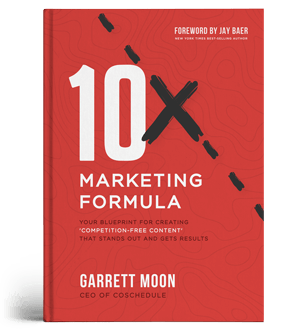 What we've found is that marketers of every industry and team size have one huge struggle in common. We call it makeshift marketing. The modern marketing stack can become a yarn ball of disorganization. And our industry is flooded with single-function tools. and of course... spreadsheets... so many spreadsheets. The core issue is none of these tools play well together. So when you're trying to manage your marketing from divergent places, it's tough to achieve consistent growth without your tools getting in the way. Just as bad, how can you see a unified view of everything? ^^^ Which is part of why you are switching to CoSchedule (or seriously thinking about it), right? Your first task, then, is to pull a Cortés. Delete your spreadsheets. We've had to do this ourselves. It's scary. But it's the only way to ensure you don't go back to the old way. Shut down your old tools. Save the data you need. Then ditch the old tools ASAP. Get excited. It's time to save more time, produce more content faster, get months ahead of schedule, and keep everyone on the same page. Your job is to show your team how. #1. What Will Your Team's New Life With CoSchedule Look Like? First up, answer what your team's new life will look like with CoSchedule. Harvard Business School professor Rosabeth Moss Kanter unpacks some of the primary reasons people resist change. Among them is excess uncertainty. To overcome inertia requires a sense of safety as well as an inspiring vision. Leaders should create certainty of process, with clear, simple steps and timetables. First things first, get ultra-specific. And this is where your first PPT template, "How We Can Save 20 Hours A Week," comes in handy. You can use this slide deck in a kickoff meeting to showcase what's ahead with CoSchedule. The deck is a great high-level overview that answers common questions teams have. Here are just a few of the biggies. Q: How will CoSchedule be better than the way things are now? A: We finally get to close the tabs, ditch the spreadsheets, forget constant copy-and-pasting, and have one source of truth for everything. With just a glance. Q: What exactly does CoSchedule do? A: CoSchedule allows us to consolidate our marketing tools and workflow in one place. Replacing multiple tools, spreadsheets, and email threads. We will all have a bird's-eye view of what's going on and exactly what to do next. Q: Will it be super hard to use? A: CoSchedule is built by marketers, for marketers. It has everything we need — content, social, email, task management — and nothing we don't. If you can use a calendar, send an email, or post a social message, you can use CoSchedule! And what kind of pro marketing teams use CoSchedule (Discovery Education, Campaign Monitor, Microsoft, etc.). #2. What's In It For Your Team To Switch To CoSchedule? As marketers, we love answering the famous question, "What's in it for me?" when we're positioning our products or services. But answering "WIIFM?" for your team is key to your success here, as well. Let's face it. With every change in product or process, we pay a switching cost. It's the price we pay when moving from one brand, product, or service to another. ...getting folks jazzed about the move won't be much fun. So, why is paying the "switching cost" worth it? Let's turn to some psychology. "So at the point of decision, emotions are very important for choosing. In fact even with what we believe are logical decisions, the very point of choice is arguably always based on emotion." He studied people with damage in the part of the brain where emotions are generated. He found that they seemed normal, except that they were not able to feel emotions. But they all had something peculiar in common: they couldn’t make decisions. They could describe what they should be doing in logical terms, yet they found it very difficult to make even simple decisions, such as what to eat. Many decisions have pros and cons on both sides—shall I have the chicken or the turkey? With no rational way to decide, these test subjects were unable to arrive at a decision. To shorten the learning curve in the onboarding process, help your team actually want to adopt CoSchedule. This is key because people who are motivated to learn actually learn faster than those who aren't. To help you with this, forecast a vision for what results you're pursuing. Then prove they can happen with these actual results from CoSchedule customers. Florida Realtors saves 20+ hours per month on marketing campaigns by using CoSchedule.Ivey Smith, their marketing & engagement manager, says of CoSchedule, "It's this live, dynamic, interactive calendar that integrates with our social channels. And for us, that’s really, really powerful. "Ask your team: What could you do with 20 more hours each month? Borshoff, a full service agency, now creates and publishes 3.75x more content each month by using CoSchedule.Ali Norma, their social media manager, says, "CoSchedule cut my time in half. "Ask your team: How much better would it be to create triple the content in half the time? Pat Flynn, founder of Smart Passive Income, gained 34% more subscribers in less than three months with CoSchedule. Pat said, "Prior to CoSchedule (and hiring an amazing editor), Smart Passive Income’s editorial process was rather scrappy. CoSchedule got us organized. And in less than two months, we had 4 months worth of content on the calendar! Consistency is key, and CoSchedule makes that possible. "Ask your team: What would the impact be of increasing our traffic, subscriber base, or audience by 33% in just a few months? And honestly, how AWESOME would we look?! Capitalize on the benefits your team will gain using CoSchedule. Then show them, the faster we fully adopt this powerful tool, the faster we get amazing results. Then prove it to them with a few compelling, real-world examples (plenty more on our Customer Stories page). #3. What Friction To Using CoSchedule Can You Preempt And Remove? With any change comes friction. It might be a lot... Or it might be just a bit. To shorten the learning curve for your team (and get them pumped about CoSchedule), do everything you can to remove friction from the process. To do this, take a cue from the book, Switch: How To Change When Change Is Hard, by authors Chip and Dan Heath. One of the key steps to leading change is something they call "scripting the critical moves." To do this, try to predict the primary points of friction your team will experience in practical terms. For example, if your team does a ton of email marketing, how has that process worked? Outline what it's looked like as specifically as possible. Especially highlight the warts and empathize with their pain. then shift send dates around depending on delays from other departments. Marketing is an exercise in constant fire drills, disconnected tools, and a whirlwind of activity. CoSchedule will make this easier. Get talking points from another department directly in the project Text Editor. Create your social messages for ALL of your networks just below. Write blog post, press release, or other companion content directly from CoSchedule. If you use Mailchimp, Campaign Monitor, Constant Contact, or Active Campaign, creating the emails is already finished. Next. Schedule (and reschedule) all of your content with ease. You have total visibility into what is publishing on which day. If you need to reschedule, no prob. Just drag and drop. ✅ ALL other content and projects. Just like that, you've scripted the critical moves for your team. Meaning they know exactly what to do AND how it will make their lives better. Even better... You get the "CoSchedule Workflow Examples" template as part of this post's bundle. And even landing page and website content processes. You've got everything you need to lead your team to success with CoSchedule. And to do so quickly! The more excited and friction free your team feels, the faster life gets better for everyone. 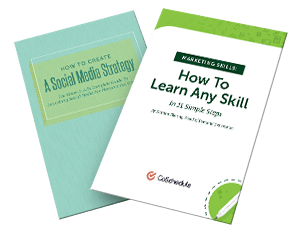 Download your free bundle, use these best practices and resources, and your team will be set up to get rolling in no time. Most importantly, however, pick a time for your free 1-on-1 marketing demo of CoSchedule! and what your new marketing life will look like. ^ And we keep our calendars as wide open as possible. So there's a 99% chance we can meet with you today.